Move-in ready! Location, location, location! Welcome to this beautiful second floor unit (no one above you) located in the highly desired Taos Condominiums. Home has granite counters, stainless steel appliances, slate floors in the kitchen and bathroom, Berber carpet in the living room and bedroom, dual pane windows in the dining room and bedroom. Washer and dryer in unit. Appliances included in purchase, including washer and dryer. Secluded patio with storage. 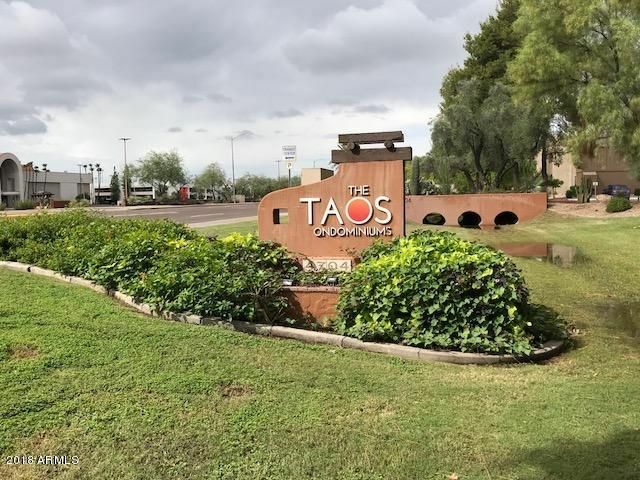 Taos is a resort style community with private pool, spa, clubhouse, fitness center, billiards room, and tv room. Across the street from Paradise Valley Mall. Within walking distance to great restaurants, shopping, and public transportation. This unit has covered parking, as well as a private gated entry.